The first London Marathon inspired a new generation to start running. John Baldwin, John Whiteman & Bob Bamber, members of Lancashire County Fire Brigade, start running & meet at the LAnd Ends pub afterwards for a drink and a chat. Mike Carter (headmaster of St. Joseph’s R.C. School, Wesham) joins the group and suggests meeting on Monday evenings to go for a run. They used the schools facilities afterwards before heading to the Four Lane Ends pub. During the next few years local running clubs emerged and Mike suggested organising a meeting to see if anyone around Kirkham & Wesham would be interested in forming a club. An advert was placed in the Kirkham and Wesham Advertiser. A meeting was held at the Four Lane Ends pub. 36 people attended & Wesham RR was formed. The running club had begun! Mike ‘Captain’ Carter became chairman & over the next few years the club welcomed over 200 members. The club changed venues for meeting and drinking between 1984 and 2000. From the School to the Community Centre in 1984 and from the Lane Ends to the Royal Oak in 1988. Ribby Hall here we…. came & went! During the 90’s charges increased at the Community Centre & a new venue was sought. In 1999 WRR moved to Ribby Hall for meeting and drinking, but, just a couple of years later it was decided WRR needed a more tailored venue. WRR moved to Carr Hill High School in 2001, which provided changing facilities & a running track – perfect!. The drinks station also moved to the Stanley Arms. Other clubs started to emerge & numbers steadily reduced to around 100. Numbers remained steady during 2003/4 at around 120 members and from 2005 the club entered more Regional & National events, with a number of club members gaining individual honours in both men’s and women’s categories. The drinks station moved to the Lane Ends pub, where a supply of butties became the norm. 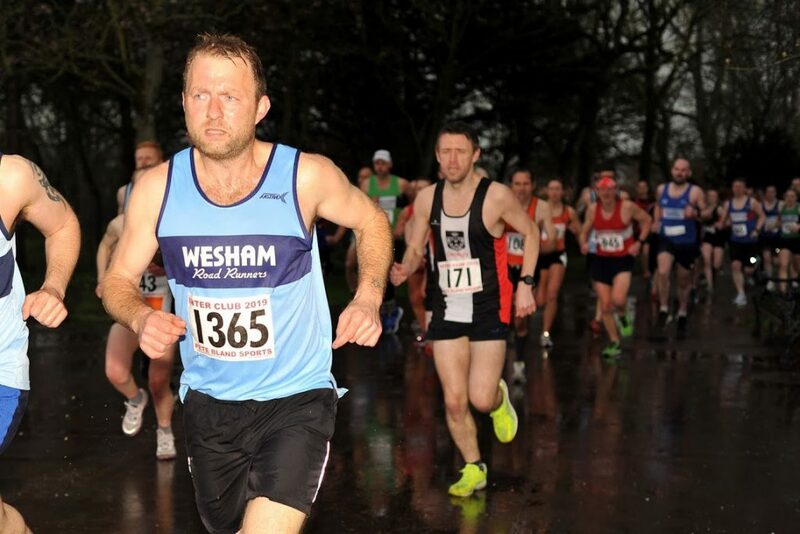 In 2009 WRR celebrated its 25th Anniversay by giving a special technical T-Shirt to all 466 Wesham 10k finishers. Between 2009 and 2011 membership remained constant at around 130 members, with an increase in female membership. Due to increasing fees the club had to look for an alternative venue. In 2012 Kirkham & Wesham Cricket Club to the rescue! 2017 has seen a new era of competition with the introduction of the Trail Race Championship by Steven Gore and 2 new trophies in memory of Brenda Earnshaw and Derek Emmens, who were both long valued and respected club members.